pay 4 months in advance. 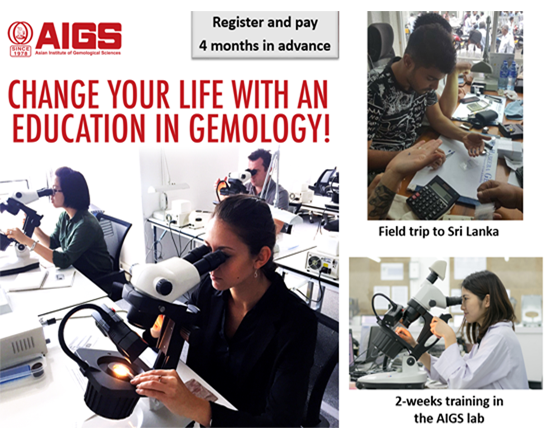 New &Improved Accredited Gemologist Program for 2018! Gain the trust and confidence of your customers! 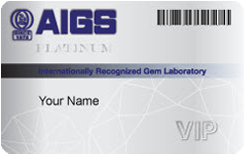 The AIGS MASTER GEMSTONE REPORT (MGR) provides the most important information regarding gemstone ORIGINS, TREATMENTS and QUALITY GRADES. 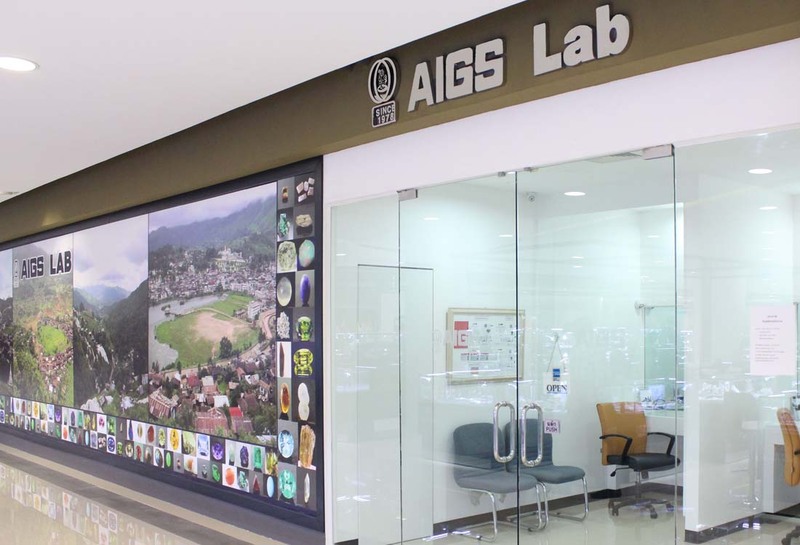 The AIGS Lab serves both the gem and jewelry industry and the public alike with a comprehensive range of gemstone and jewelry analysis reports. In 1977, Jeff Wildman (USA) and AIGS Chairman Henry Ho (Thailand) invented the "Porta-Lab", which was the world's first portable gemological laboratory. 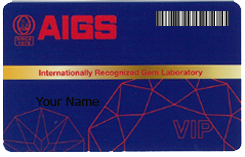 The AIGS laboratory is equipped with EDAX, FTIR, LIBS, UV/VIS and DFI technology. 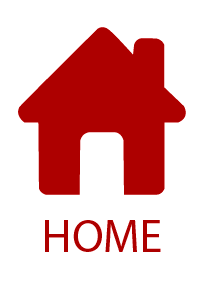 Please note that this service is only applicable to reports issued after 1st August 2011. 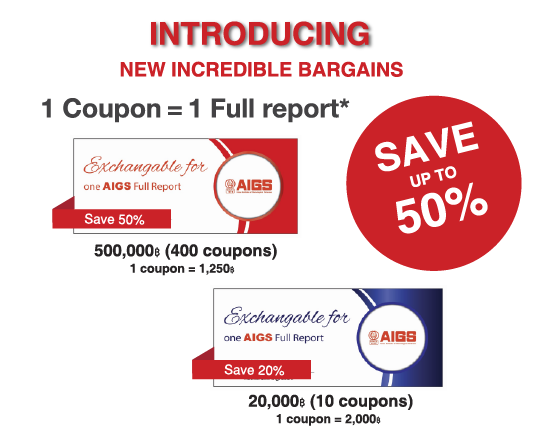 Service and contact information for AIGS offices and take-in windows in Thailand, Japan and Sri Lanka. 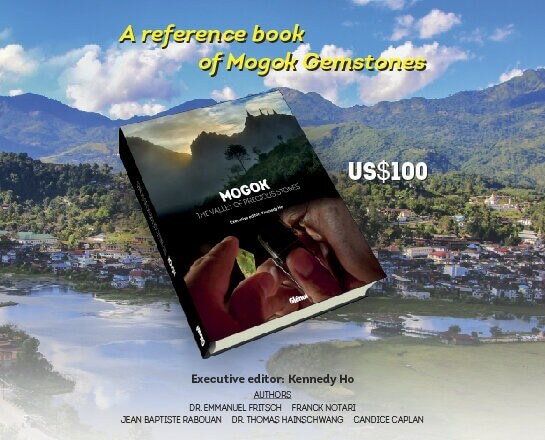 Descriptions of the various AIGS detection methods and grading systems for colored stones, diamonds and jadeite. Provides diamonds with a color, clarity and cutting grade, as well as testing for synthetics and treatments such as glass-filling. Provides all necessary information regarding origin and treatments for colored stones, as well as a star rating system to represent quality. Contains all relevant information regarding past enhancements, or a lack thereof. When possible, a geographical origin is also provided. Provides classification and quality grades for jadeite, as well as a variety determination using the exclusive AIGS color chart.